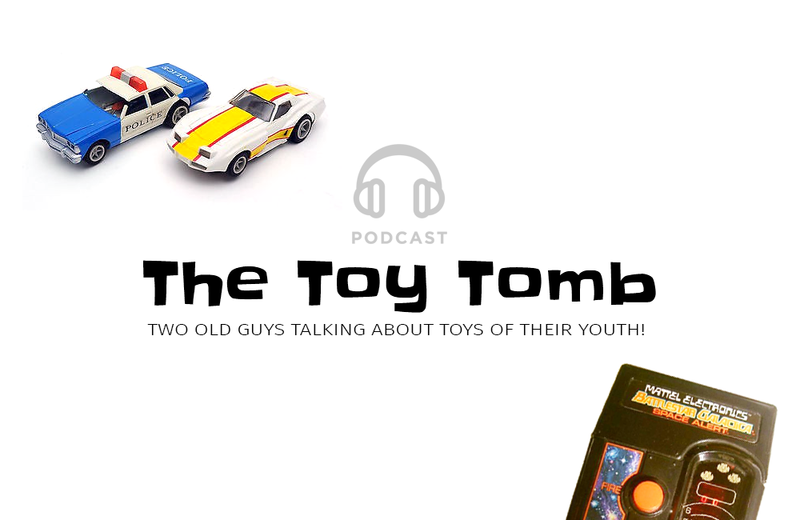 The Toy Tomb podcast looks back at the toys that were ubiquitous for kids growing up in the ’60s, ’70s, and ’80s. Launched in May 2016, the podcast is hosted by Willie and Arkay. These self-described “two old guys” wax poetic about their favourite childhood toys (and the ones that got away). Toys from manufacturers such as Kenner Products, Marx, Tonka, Wham-O, Ideal, Tomy, and others are included. Each episode is dedicated to a single toy. Willie and Arkay delve into the history of the toy’s manufacturer, commercials, availability, packaging, and accessories. As often happens during banter with friends, the original topic at hand is sometimes temporarily abandoned as side topics are explored. It’s all part of the appeal of The Toy Tomb. Every episode is infused with the hosts’ passion for vintage toys and as a listener, it’s hard not to get swept up in that. Listeners are even encouraged to call and leave voicemails, reminiscing about their favourite toy.